Backplane Systems Technology announces a new ultra rugged range of vehicle computers designed for transportation applications in mining, emergency services and waste management industries. RuggON’s 10.4” ultra-rugged vehicle mount computer, the VM-521 is based on the fastest chipset in Intel’s Bay Trail-I Series, the E3840 Platform, which provides excellent computation, graphical and media performance. 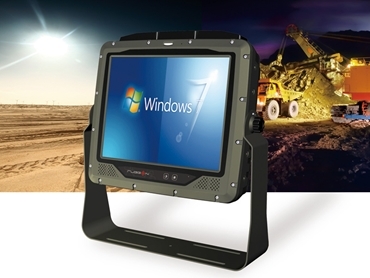 One of the leading vehicle mount computers on the market, the VM-521 offers fit-for-purpose ruggedness and functionality, and is IP66 rated for protection against dust and liquid as well as MIL-STD-810G designed to withstand humidity, shock and vibration in tough environments. The VM-521 is built for day and night operations. Key features of VM-521 vehicle mount computers include faster processing power, broader coverage and stable and efficient transmission environment utilising the latest 802.11ac Wi-Fi standard, GPS and WWAN; high capacity for networking several devices to simultaneously transfer data; 1,000 nits display capability with truly sun-readable capability; exceptional 0.1 nits hyper dimming technology, providing a wide brightness adjustable display to meet dim-to-black requirements; and gigabit LAN, USB, digital I/O, COM and CAN ports. The isolated ports protect the VM-521 from ground loop and improve system reliability while also meeting NEMA0183/NEMA2000 physical standard.